The recent resurrection, or reinvention, of Ian Fleming’s sinister Bond villain Ernst Stavro Blofeld by Christoph Waltz in Spectre created enormous interest on the part of commentators, and in some ways owed a debt to the Donald Pleasence interpretation as seen in You Only Live Twice (1967), especially with his damaged eye. This was certainly acknowledged by director Sam Mendes in various interviews. 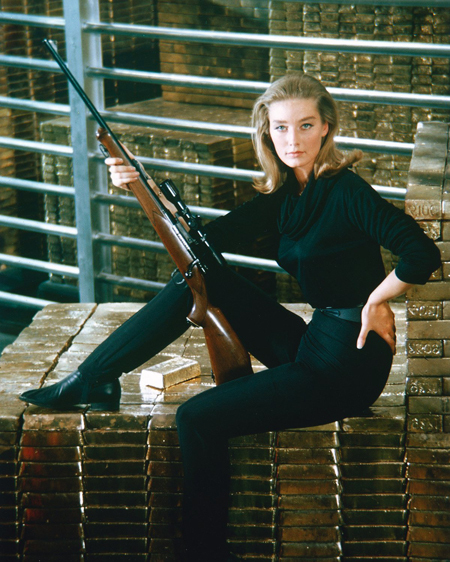 But, in other ways, Waltz’s more physically active Blofeld could be compared to the version played by Telly Savalas in On Her Majesty’s Secret Service (1969). Telly Savalas does not get all that much coverage in James Bond film histories, yet OHMSS is often rated very highly by 007 aficionados. And, in his own way, Savalas offered a very worthy version of the egotistical and vindictive ‘Count de Bleuchamp’. The JBIFC offers (00)7 items of brief info, some familiar and others less so, about the New York-born Telly Savalas (1922-1994), who gave us another (perhaps more ‘realistic’) version of the devious arch-villain from the Ian Fleming books and EON movies. 001: Telly Savalas began his film career in 1961 in The Young Savages (1961). He quickly came to wide Hollywood attention. He was nominated for an Academy Award for Best Supporting Actor for his powerful performance as Feto Gomez in the Burt Lancaster prison drama Birdman of Alcatraz (1962). Savalas went on to appear in a diverse number of highly successful films in the 1960s and 1970s. With his memorable physical features and extrovert personality on screen, however, he seemed to be especially in demand for war movies, appearing in films such as Battle of the Bulge (1965) (which co-starred former Bond henchman Robert Shaw), The Dirty Dozen (1967) and Kelly’s Heroes (1970). Later in his career he appeared in two Dirty Dozen sequels (in 1987 and 1988). 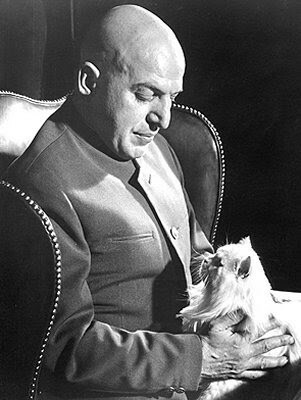 002: According to subsequent reports, Savalas was finally cast as Blofeld as he was favoured for the role by Bond co-producer Cubby Broccoli. 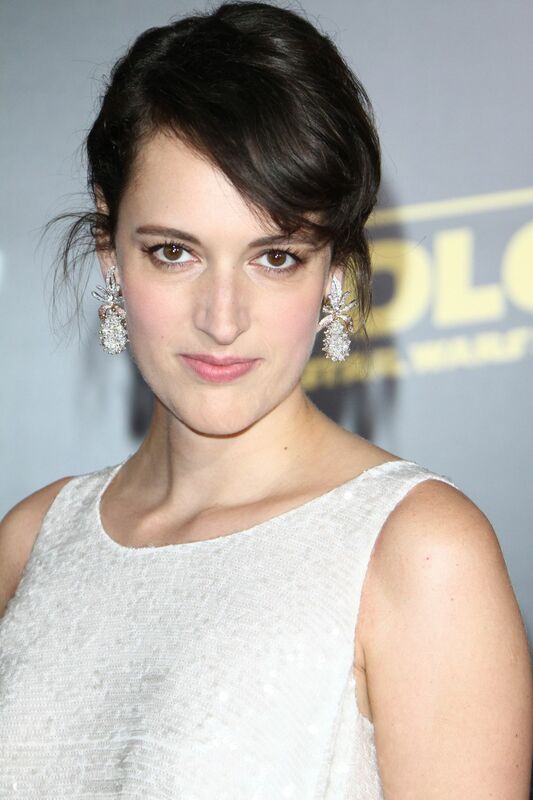 This choice went down well with new director Peter Hunt, who was seeking a more powerfully-built actor for the key role. Hunt had briefly considered inviting Donald Pleasence back (the actual fate of Blofeld was left open-ended in You Only Live Twice, a film Peter Hunt had edited), but Hunt decided that he needed somebody more ‘physical’ for the tasks Blofeld would undertake in the field in On Her Majesty’s Secret Service. The Telly Savalas version of Blofeld, as envisaged by screenwriter Richard Maibaum and director Hunt, was clearly required to be a more ‘physical’ threat to Bond: the cat-stroking head of the criminal organization SP.E.C.T.R.E. needed to ski down a mountain, out-run George Lazenby’s 007, and engage in close hand-to-hand combat on a bobsleigh run. Ironically, however, many of Savalas’s action sequences had to be shot in the studio: due to tight insurance regulations, none of the main actors were allowed to do any real skiing (although Lazenby defied this, anyway!). 003: According to later accounts by some of the OHMSS crew, Telly Savalas loved to play card games late into the night, and would often turn up for the early-mornng set calls looking a bit bleary-eyed: however, he always knew his lines and always behaved with the utmost professionalism. Savalas had just worked with co-star Diana Rigg on a previous movie, The Assassination Bureau (1969), a black comedy set in pre-World War One Europe. The other main star in this now rarely-seen movie had been Oliver Reed, who was also briefly considered by Broccoli and Saltzman as a possible post-Connery Bond. Another key actor opposite Telly in that movie was Curt Jurgens, who went on to play a Bond villain himself (Stromberg in The Spy Who Loved Me). Telly Savalas and Diana Rigg, as more experienced actors than George Lazenby, clearly enjoyed the opportunity in OHMSS to ham things up a bit in the climatic scenes in Blofeld’s Alpine HQ: the script called for Tracy to flatter the ego of the ‘Count de Bleuchamp’ in order to distract his attention (she compares him to the ‘Master of the World’, based on lines originally coined by the nineteenth century playwright James Elroy Flecker). Rigg and Savalas showed real on-screen chemistry in the sequence. 004: To Birmingham with love? The residents of Birmingham, or ‘Brummies’ as they are affectionately known in the UK, may be surprised to learn that Blofeld, in the guise of Telly Savalas, once waxed lyrical about their home city. When British audiences went to see Raiders of the Lost Ark at the cinema in 1981, they first of all had to sit through a 25-minute travelogue feature, screened before the main movie started, called Telly Savalas Looks at Birmingham. This rather bizarre film, with a voice-over narration by Savalas, was dug out of the archives in 2010 by (what was then called) Sky Arts, and it is now treated as a rather strange piece of kitsch entertainment which, nevertheless, shows how the famous city looked in the 1970s. It was shown on Sky Arts in late December, 2010, and – as British viewers tucked into their turkey left-overs – they could hear the highly distinctive, deep and quite gravelly voice of the one-time Blofeld praise the new ring-roads, walkways and car-parks of the then rapidly expanding 1970s city, which is often regarded as Britain’s second-largest after London. 005: Savalas, who was still at the height of his film and TV career when he agreed to do the narration work, also did voice-overs for similar films on Portsmouth and Aberdeen, all arranged for a decent fee by his canny agent, and all from the comfort of a recording studio located in Soho, in the film heart of central London! The films were known in the trade as ‘quota-quickies’, a term that had been in existence since at least the interwar period, and were low-budget travelogues made by Harold Baim to help UK cinemas abide by the 1927 Cinematograph Films Act (which forced cinemas in Britain, by law, to buy a set percentage of home-grown films). Telly Savalas did not actually appear in the films he narrated, and he never visited the locations he so eloquently praised (Bull Ring Shopping Centre, anyone? 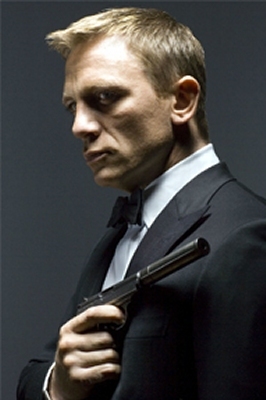 ), but its a nice piece of film trivia for aficionados of his turn as Fleming’s iconic villain. 006: Telly Savalas, of course, also found instant small-screen success when he appeared as the hard-bitten New York detective Kojak in the 1970s, a hit CBS TV series which ran for five seasons (1973-78), and also included one of his real-life brothers in the cast, George Savalas. There were also a number of spin-off Kojak telemovies made, the last one appearing in 1990, just four years before Telly’s sad and untimely death from bladder and prostate cancer, aged just 72. There have been various reports that recent Bond screenwriters Neal Purvis and Robert Wade have worked on a treatment for a big-screen revival of Kojak. 007: In 1979, Telly Savalas played the role of Zino in Escape to Athena, a war film which co-starred the third 007 actor, Roger Moore, who played an Austrian Nazi camp commandant, Major Otto Hecht. The movie was shot almost entirely on the lovely isle of Rhodes. As Sir Roger recalled in his memoirs My Word is My Bond (2008), both he and Telly still enjoyed gambling in those days and there was ‘a rather nice little casino’ on the island; both Roger and the former Blofeld would often end up there playing most nights at the same tables together. 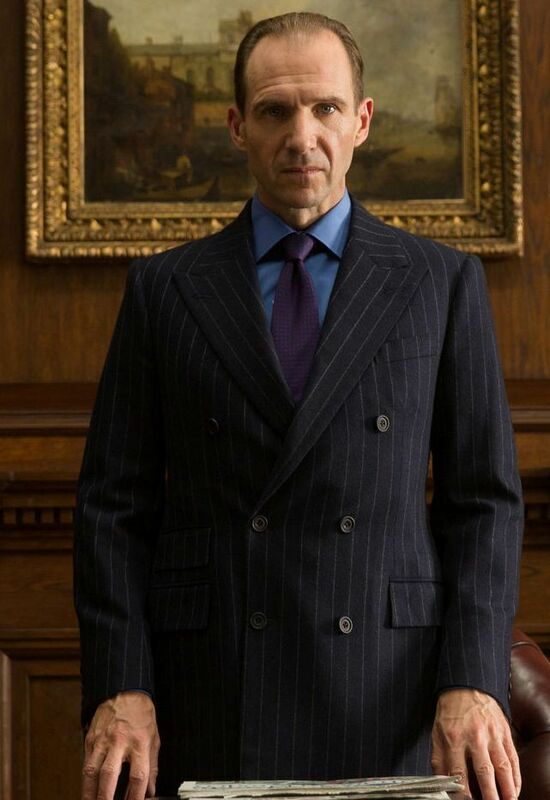 Ironically, Roger would also later face a version of ‘Blofeld’ in the pre-credits to his fifth James Bond movie For Your Eyes Only (1981), a figure in a wheelchair who looked suspiciously like the Telly Savalas interpretation from OHMSS! In the December, 1981, issue of the JBIFC’s 007 magazine, we carried an interview with George Lazenby, and the former one-time James Bond recalled some of his memories of working with Telly Savalas on his only 007 movie. Although clearly a ‘star’ in every sense of the word, Savalas could also still be very generous. According to Lazenby, at one point they rehearsed their first scene together and apparently somebody had forewarned Savalas that he (Lazenby) was ‘a novice actor’; as Lazenby remembered it, Savalas turned round in front of the new Bond and said: ‘He doesn’t need any help. I’ve got to watch out, he will blow me off the screen’. Lazenby told the JBIFC: ‘Just that remark gave me confidence’.